Salmon Bay has a variety of products for polishing and densifying industrial, commercial and residential surfaces. 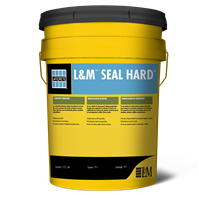 These processes add strength to existing concrete floors, protect concrete floors from heavy loads and deterioration while resisting the penetration of water and oils. The Laticrete/L&M product line includes numerous products which harden and densify concrete to increase water resistance and surface strength plus a concrete conditioner to ensure your floor looks as good as it did on day one.